The curriculum follows the Florida Sunshine State Standards for high schools as well as the requirements set forth by Public School System. All students follow the same curriculum. Students that demonstrate difficulties achieving the course objectives are required to come to the school for individualized tutoring or assistance. Students earn credits per each course completed with a "C" and above. Each course is equivalent to one (1) credit. The students need 24 credits to complete the high school program. This policy is published in the School Handbook and in the Parent-Student Handbook. A plan of action is prepared for each student ensuring that all standards for graduation are met and all courses missing or needed for graduation are completed. The students are scheduled 6 courses (2 semesters). Extended time is provided for completion of each course if the need arises, but there is a time limit of an additional 6 months or the student will receive an “F” for that course. The goals and the objectives for each subject are aligned with the content and materials offered in the selected textbook. The courses follow the Florida Sunshine State Standards and objectives and the textbooks correlate with the standards and objectives. The mission and goals of the school aim to assist the students to complete high school, thus by following the required State standards, the students will earn a high school diploma that is compatible with the state’s demands and requirements. The teachers are provided with textbooks for each of the courses assigned to them. Teachers are using for teach their own Coursesites by Blaackboard websites, Tleconferencing and online teaching, emails and via skype. The school also follows the Florida Sunshine State Standards which includes the curriculum guidelines for each course according to the standards and guidelines set by the state for each grade level. Students receiving an “F” grade will be required to retake the test. Students receiving any grade less than a “C” are encouraged to retake the test to improve their grade. Students are required to keep up with the deadlines for each assignment as stated in the course syllabus. Additionally, the Parent-Student Handbook describes the Students Responsibilities as far as course completion, Grade Point Average (GPA), and fulfillment of all assignments in a timely manner. Core and Elective Courses: Our inclusive set of core courses cover subjects in Math, Science, Foreign Language, English, Religion and Social Studies. We also offer many elective courses in areas such as History, Government and Foreign Languages. Including Math, English, Science, Religion, Social Studies, and Electives. Each course syllabus includes the Florida Sunshine State Standards and the objectives for each course as well as the detailed course outline that specifies the assignments or activities to be completed to satisfy the specific standard. The assistant principal evaluates all the courses as well as the goals for each discipline. He ensures that the courses are comparable to the schools system and that the students are receiving quality education and the correct amount of required courses for graduation. The school provides academic support and tutoring in order to assist the student to meet the allotted time for course completion. Teachers provide assistance and tutoring to students when they express having difficulty with an assignment. The tutoring sessions can be administered online by appointment. Students have direct access to the school’s E-library. In the course syllabus, the teachers are requested to implement writing assignments and Comprehensive Reading Plan or research papers where students have to use the databases available and be able to cite their sources as well. For example, in the Social Studies class, the teacher has added assignments that involve student presentations using Power Point in which they have to attach a narrative for each slide as if the presentation was being given orally. When the students complete their assignments, research papers, exams or any form of graded evaluation, the grade goes directly to the Grade Book. Upon completion of the course a copy of the Grade Book is downloaded and the grades are transferred to the students’ report cards. A copy of each course’ grade book is filed in the Registrar’s Office. The parents and students have the right to review the grades and receive copies of the report card as requested. U.S. International Christian Academy requires 24 academic credits, Including Math, English, Science, Social Studies, Foreign Language, Religion, Fine Art,Heath Education and Electives. Students are required to take a minimum of 6 credits each year and to pass all courses they attempt. Failure to do so requires that the course be made up in summer term an another approved correspondence/online course. to offer courses online for anyone to take, for free. Our students can transfer all the courses from Coursera to U.S. International Christian Academy. Courses taken for dual enrollment credit through Free College courses at Coursera appear on the report card and high school transcript as a high school credit. USICA Report Cards are issued two (2) times a year. The purpose of the report card is to encourage students to continue their progress or to make an earnest effort to do better. Parents are requested to check the report card as soon as possible. A “Zero” will be given on the test for cheating in any form, including plagiarism, taking help or copying from other students or giving help to other students during the tests / final exam. If any student is caught cheating during the examination, his/her name will be duly noted by the instructor and reported to the concerned authorities for further action (namely, an “F” in the course, expulsion from the school, etc.). The student is responsible for any classroom misbehavior, academic misconduct or indiscipline, which is conducive to the educational process and for achieving standards of performance established by the instructor. A student may be penalized for any misbehavior or misconduct. Academic misconduct includes (but is not limited to) giving or receiving assistance on a test, quiz, or homework assignment for which such assistance is not permitted, falsifying a document to obtain an excusal from a test, and using unauthorized notes on a test or quiz. “The instructor has the final authority in all matters relating to the course content, grading practices, and classroom policies and procedures.” Penalties for Academic Misconduct range from an “F” in the course to “expulsion” from the college. 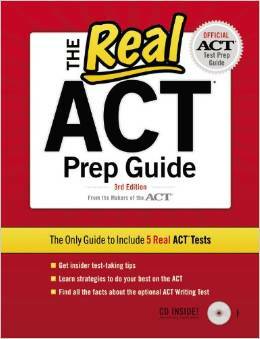 In the tests or final exam, you will not be allowed to use the textbook or class-notes or handouts or formula. The book fee is $50.00 each one and Books Rental Fee is $100.00 per an academic year ( two semesters) The Book fee and the Book Rental Fee must be paid the due date. If these fees are not paid by the due date, the child will not receive his/her books. Blackboard is an open online courses (MOOCs) through CourseSites by Blackboard, a free, hosted and scalable online learning platform. ​Courses taken for dual enrollment credit through MOOC by Blackboard free courses appear on the report card and high school transcript as a high school credit. from top educational institutions for anyone to take. UNICEF free courses appear as a high school extra credit for your class..
study for your test and write essays from 3:00 p.m. to 11:00 p.m. daily. 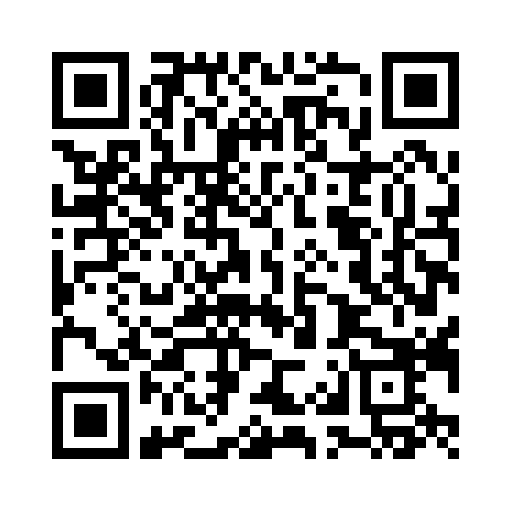 Visit the websiteand click in Database. Many 4-year colleges require students to take an SAT or ACT by December of their senior year, but it is recommended that they complete it by spring of their junior year. No longer require SAT II subject tests, it may still be recommended for specific majors. 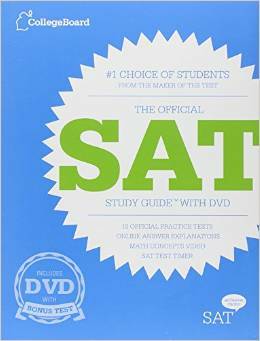 Additionally, some private colleges require students to complete 2 of the SAT II subject tests. Exams must be in different disciplines and completed by December of senior year. All full time faculty members and administrators hold a BA or BS or M.A. degrees from University of Miami, Emory Universiry, Florida International University, Nova University, Florida National University, University of Panama, University of Havana and other recognize university in U.S. Faculty consists of trained teachers in English, Mathematics, Social Studies, Science, Foreign Language. Your interest in U.S. International Christian Academy as a teacher is appreciated. We invite you to fill out this application. If an opening occurs for which you may qualify, we will notify you by e.mail. If we have continued interest in your candidacy, we will send you some follow up questions and arrange for a personal interview. We are seeking applicants who are professionally qualified, who really love teach. See the following information and forms: the Interview Questions for Teacher, Employee Backgroung Check Information and Finger Print, Statement of the Faith and Perssonel Policies and Practices.